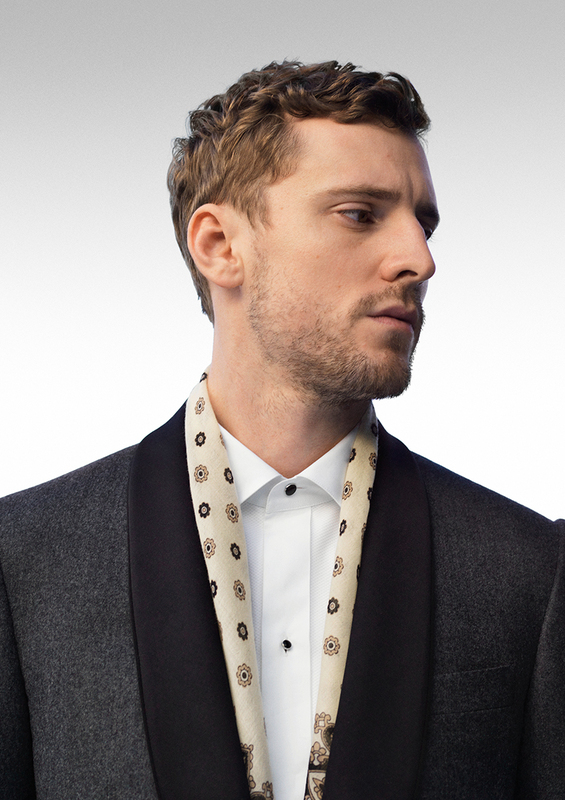 This season, we subtly revisit the tenets of classic menswear. 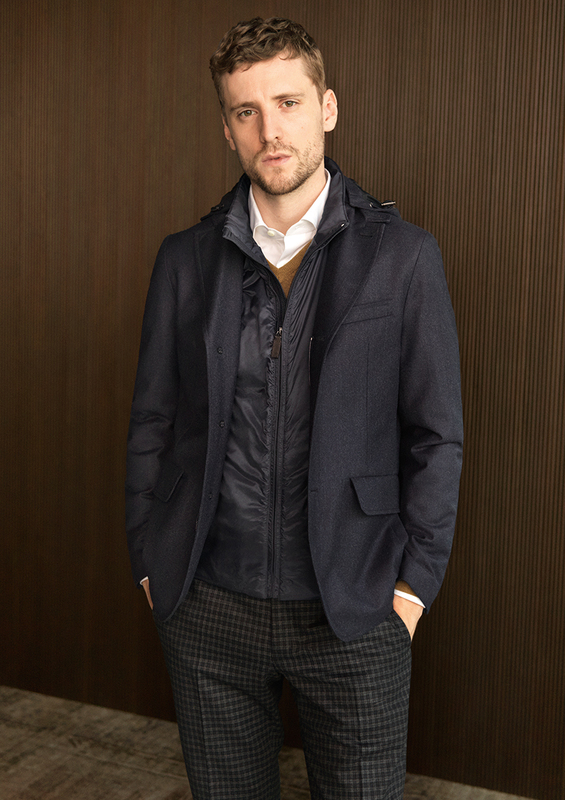 Performance-focused fabrics, new contrasts and textures provide unique touches to a distinctive collection that has been designed for the modern-day gentleman. 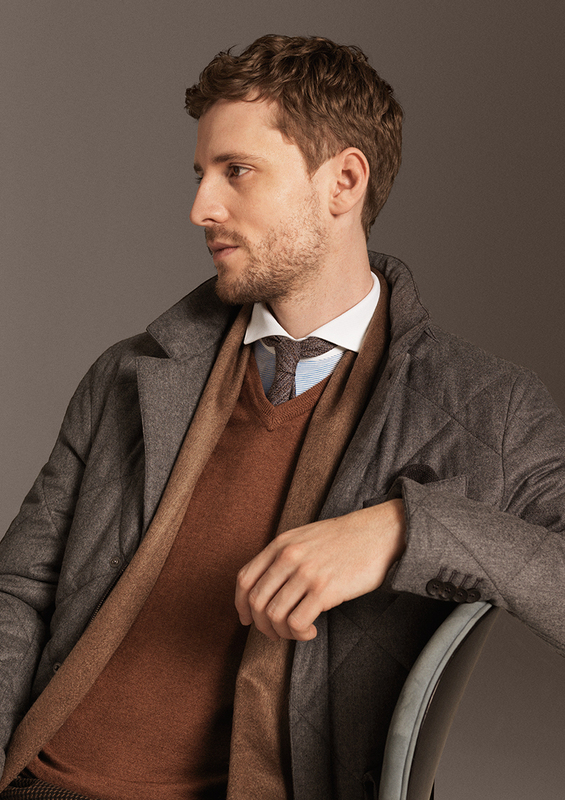 The color palette comprises a versatile foundation of blacks, browns and blues in varying shades while the silhouette of jackets and pants tends to follow the natural contours of the body for a comfortable and contemporary fit. Technical materials take center stage, providing resistant and refined protection against wear and tear – perfect for those who are constantly on the go. 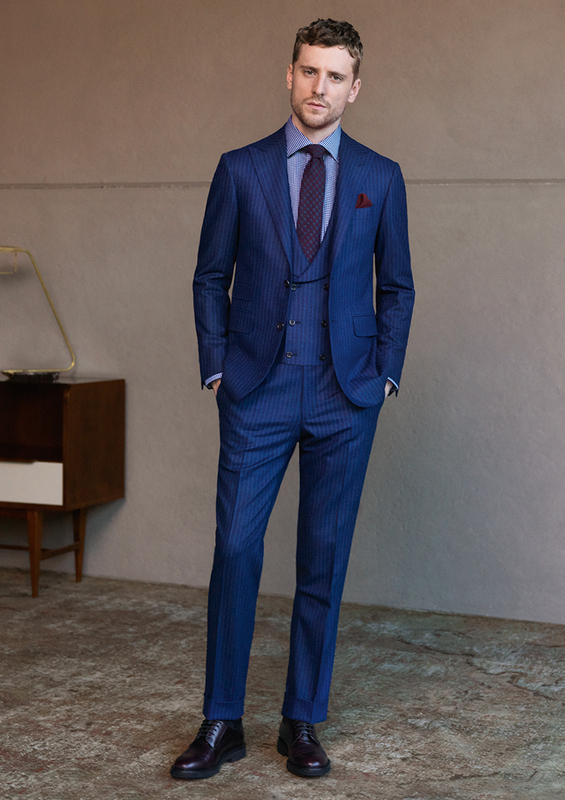 The three-piece suit has always been an emblem of elegance and this season, it takes on an ultra-contemporary air with a stylish and modern silhouette and an eye-catching shade of blue. The double-breasted coat is an outerwear essential that pairs perfectly with both your formal and casual looks. 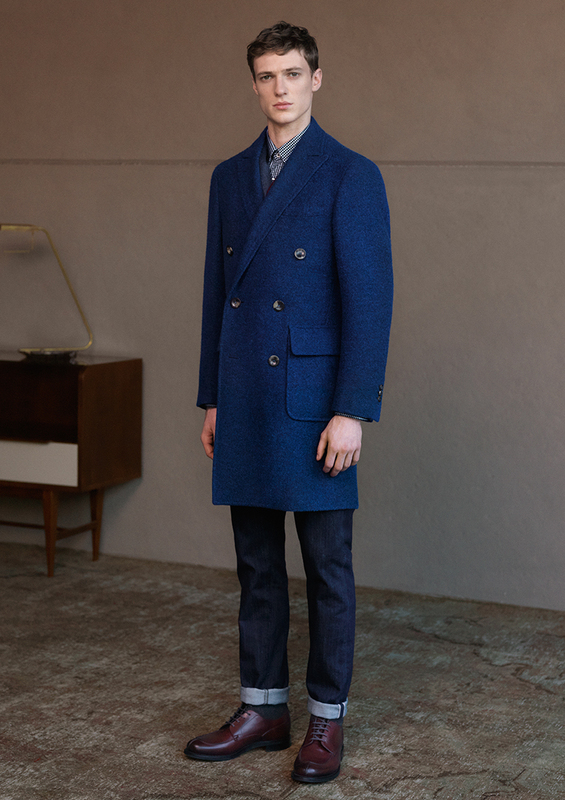 A bright blue hue, oversized patch pockets with flaps and an exclusive Kei construction add distinctive details. Transitions in weather call for versatile outerwear pieces that keep you warm and comfortable. 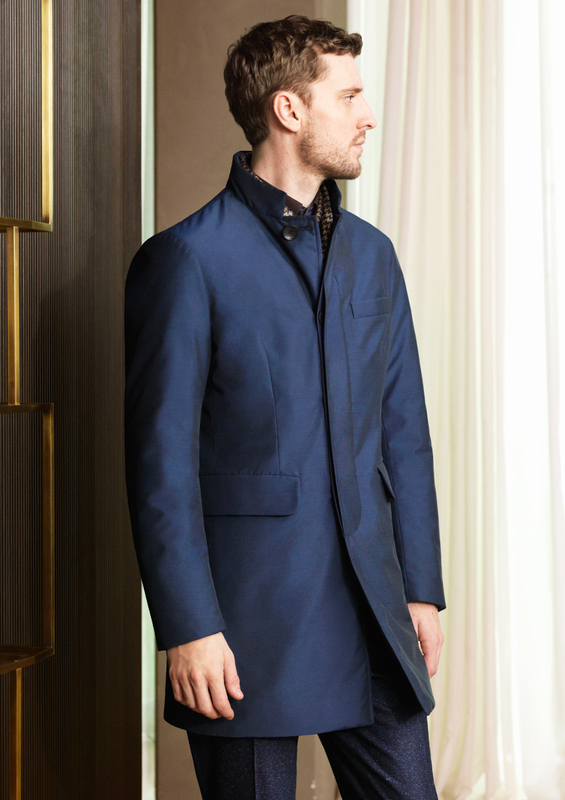 This car coat does plenty of both and features a subtle iridescence for a refined finishing touch. 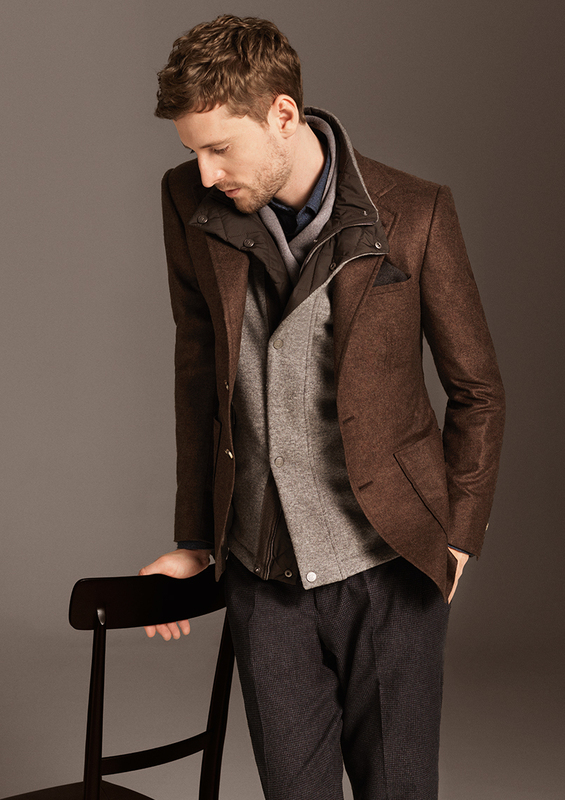 The key to Fall dressing is keeping warm without losing the elegance factor. Top off your classic seasonal looks with a refined wool jacket whose removable hood and quilted vest take polished practicality to the next level. Some trends are destined to withstand the tests of time and style. 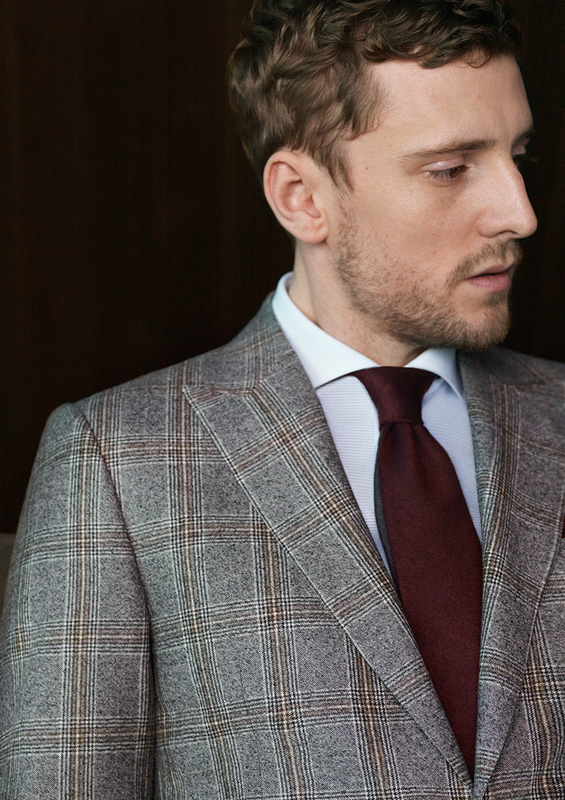 Season after season, the Prince of Wales check proves to be an enduring icon of menswear motifs, adding symmetrical sophistication to your wardrobe. As temperatures drop, consider upping your outerwear game. Diamond-shaped quilting is filled with ultra-soft hypoallergenic padding for added warmth. 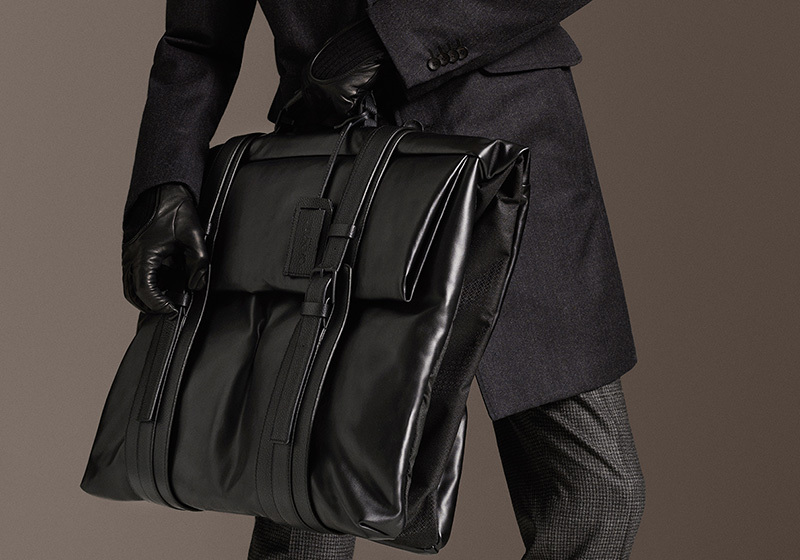 Leather inserts add a luxurious touch that won't go unnoticed. When it comes to facing seasons of unpredictable weather, fabric is fundamental. A cashmere and silk blends adds refinement and sheen to the classic Kei while a reversible pure cashmere vest retains much-needed warmth. Casual occasions and weekend getaways take on a sophisticated aesthetic with our leisure-time selection. 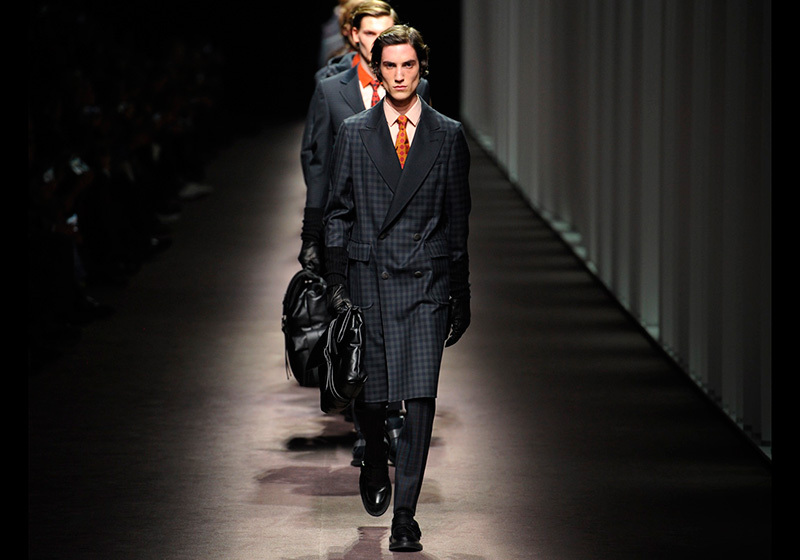 A padded leather jacket features contrast sleeves while pants are embellished with a Prince of Wales check. 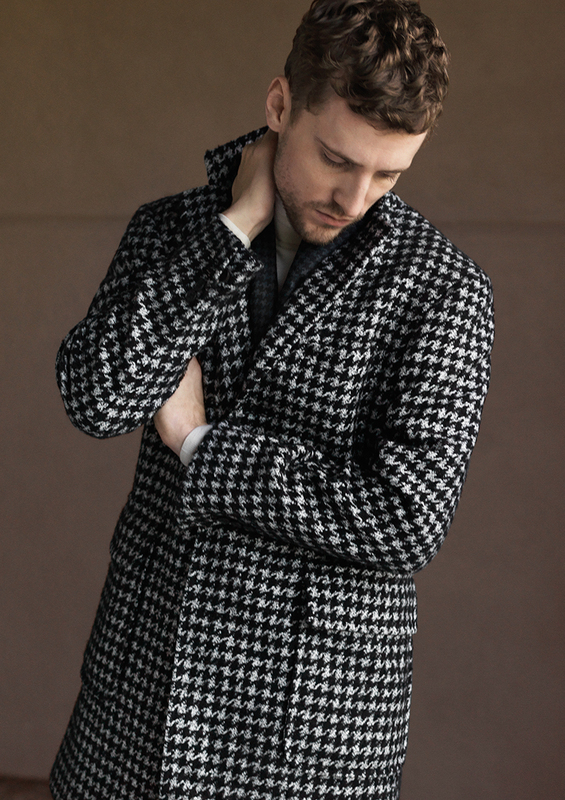 This black and white overcoat takes center stage within any ensemble thanks to a distinctive macro houndstooth motif that perfectly blends classic and contemporary. Its soft silhouette gives off a relaxed aesthetic while oversized pockets add a unique finishing touch. 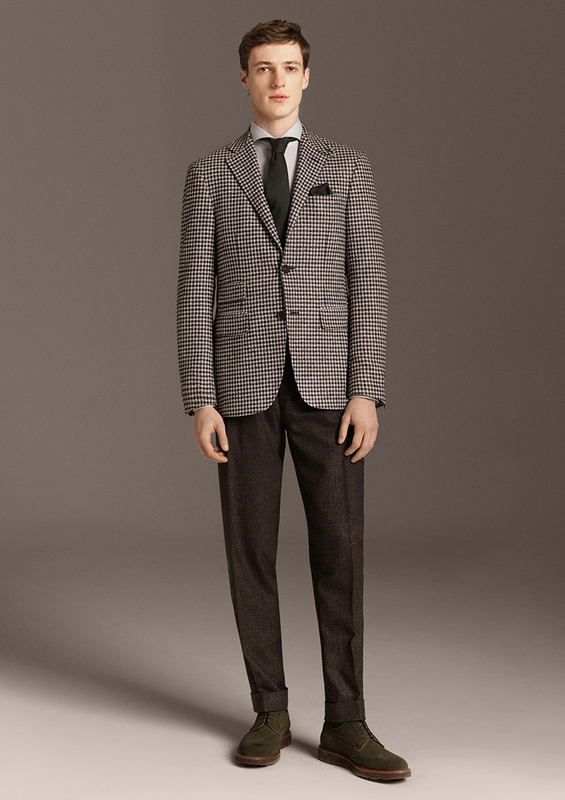 The Canali Kei jacket strikes the perfect balance between a relaxed silhouette and a refined aesthetic. Its soft and natural fit makes it a must for everyday office looks and your travel wardrobe. Choose an eye-catching pattern for added character. 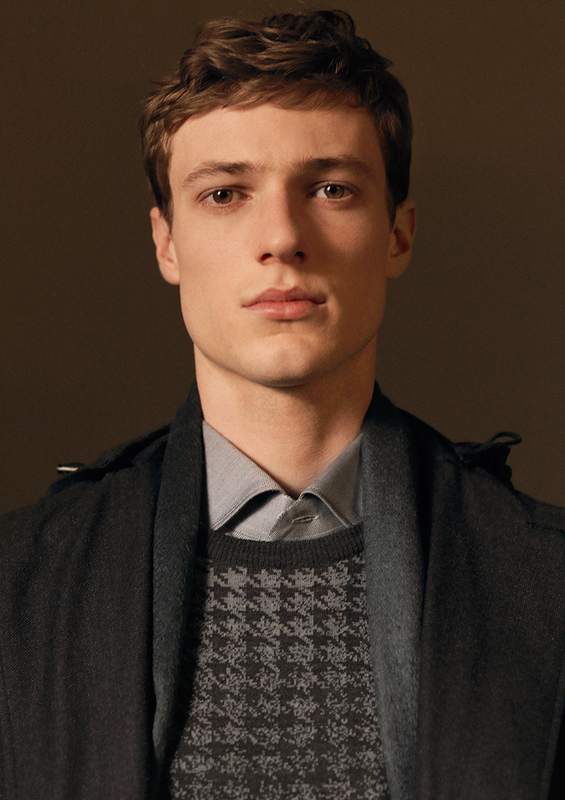 Blending different shades of gray in your Fall Winter ensembles ensures a refined aesthetic every time. Light and dark hues come together in sophisticated chromatic contrasts that are offset by dynamic motifs and luxurious accessories. 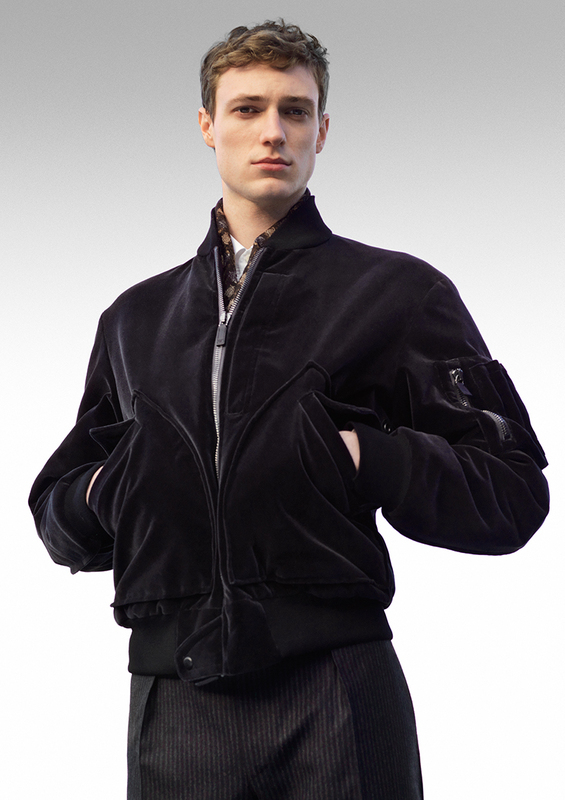 The iconic bomber jacket takes a luxurious turn in an ultra-soft velvet fabric, creating the statement outerwear piece of the season. It can be dressed up with a pair of classic pants or down with the right accessories, adding versatility to the mix. Even the well-established tenets of formalwear undergo style evolutions every now and then. Our latest version of the classic tux comes in a lightweight wool and features a dynamic mélange texture and contrasting shawl collar for a distinctive alternative for your evening occasions.